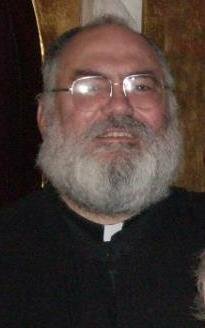 It is with extreme sadness that we inform you that our beloved brother in Christ, Father Polycarp Whitcomb, Pastor of St. Athanasius Church in Sacramento, California, fell asleep in the Lord on Friday, January 4, 2013. His Eminence Archbishop Joseph has asked the parishes to remember him in your prayers for the departed for the next 40 days and to hold a special Trisagion for his eternal life. The funeral arrangements will be announced once they are set. May God receive him in His Heavenly Kingdom and may his memory be eternal.